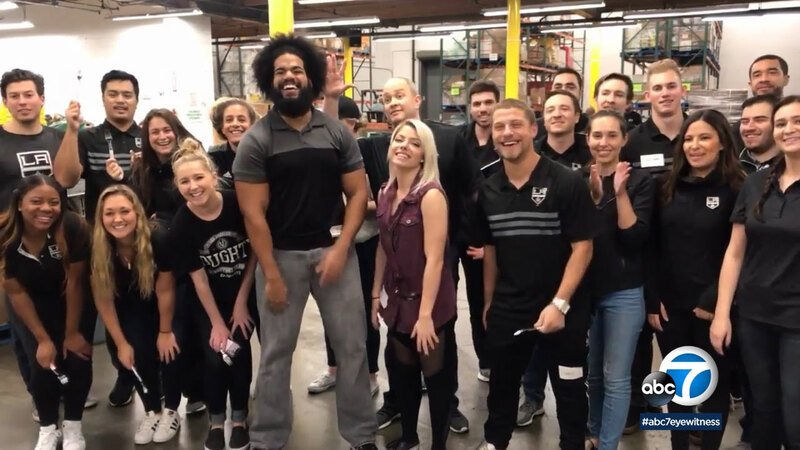 Members of the Los Angeles Kings and WWE helped pack meals for those in need at the LA Food Bank. LOS ANGELES -- Members of the Los Angeles Kings and the WWE used their star power to help others. More than 35 athletes and staff were at the LA Food Bank packing up meals for those in need. They sorted and packaged food to support the Children's Backpack Program. The program feeds more than 1,000 children a week. This event will provide more than 7,000 meals. The LA Food Bank has been partnering with the Kings since 2000. This is the first year for the WWE at the Food Bank. The LA Food Bank serves more than 600 agencies throughout Los Angeles County.